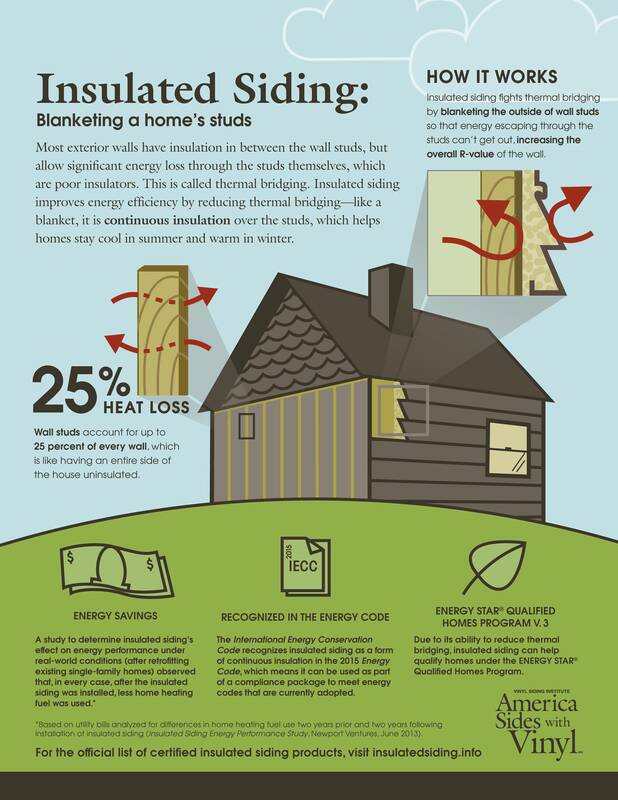 Insulated siding is becoming more popular today as more and more people are trying to save money on energy costs. 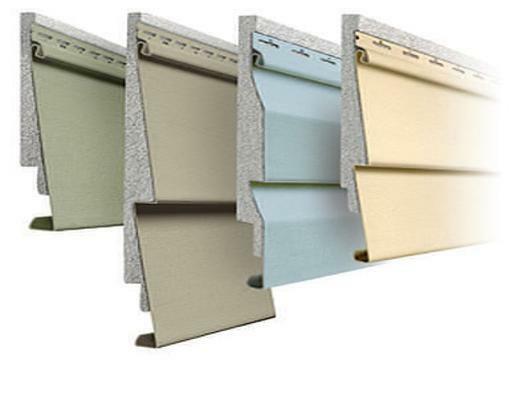 Many vinyl siding manufacturers make 'insulated' versions of their popular sidings. They attach foam insulation to the back of each panel. By adding foam insulation to the back side of the siding panels, that makes it costs a little more than regular vinyl siding, usually 20 to 25%+ more than standard vinyl siding. Most contractor's agree that the extra cost is overshadowed by the savings on home energy costs over the life span of the property. Adding insulation fights 'thermal bridging' which is a common problem with most houses. Houses made with wood framing allow heat to go through the wooden studs. 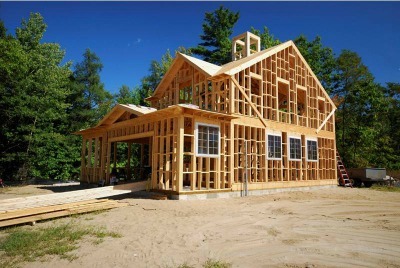 Approximately 25% of a home is made of wood. That's a lot of heat, ie: energy costs, leaking out of your house day and night. The foam insulation cuts down on the heat loss through the wooden studs. Thermal Picture showing heat loss on home with little or no insulation. Light color is heat escaping through walls. Tremendous energy loss through the walls. Thermal picture showing how insulation cuts back the heat loss escaping through walls. Note how the light color around the windows shows how much energy is loss through windows that are not double pane.